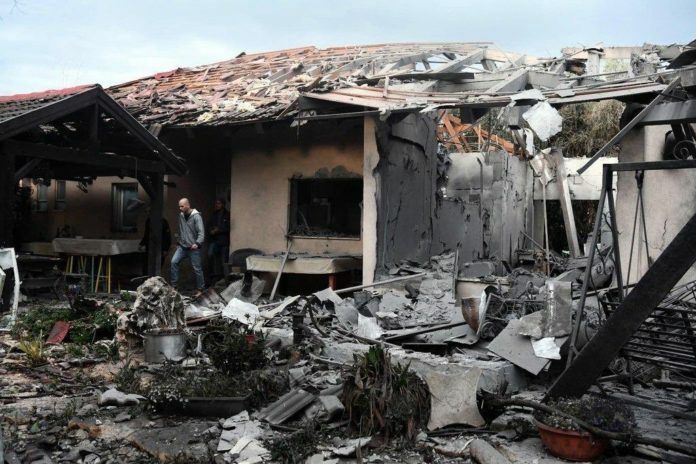 An early morning rocket fired from the Gaza Strip demolished a house in central Israel on Monday, wounding seven people and prompting Prime Minister Benjamin Netanyahu to cut short a trip to Washington. The IDF quickly mobilized troops and called up reserves, setting the stage for a potential major conflagration. 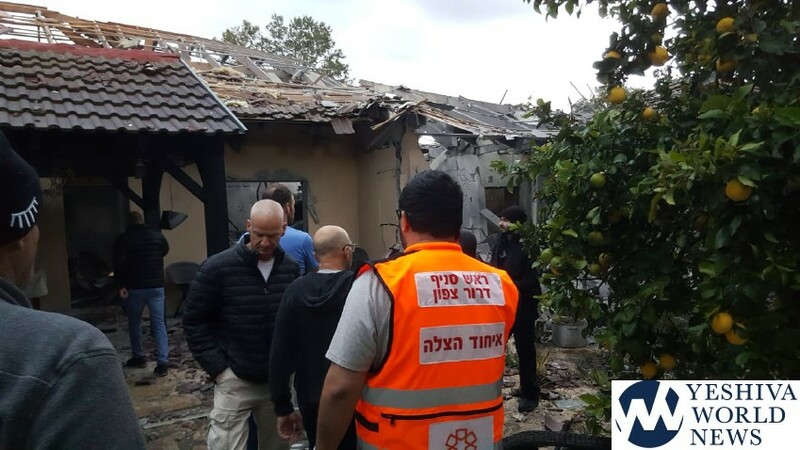 The rocket destroyed a residential home in the farming community of Mishmeret, north of the city of Kfar Saba, wounding six members of a family. The Magen David Adom rescue service said it treated seven people overall, including two women who were moderately wounded. The others, including two young children and a 6-month-old infant, had minor wounds. The Israeli military said terrorists from Gaza’s ruling Hamas group fired the rocket from one of their launching pads in southern Gaza Strip, near Rafah. Maj. Mika Lifshitz, a military spokeswoman, said it was a self-manufactured rocket with a range of 120 kilometers (75 miles). She added that two armor and infantry brigades were being mobilized to the Gaza front and that a limited drafting of reserves was also taking place. The family home was left in ruins, with tiles, broken furniture and debris scattered about. 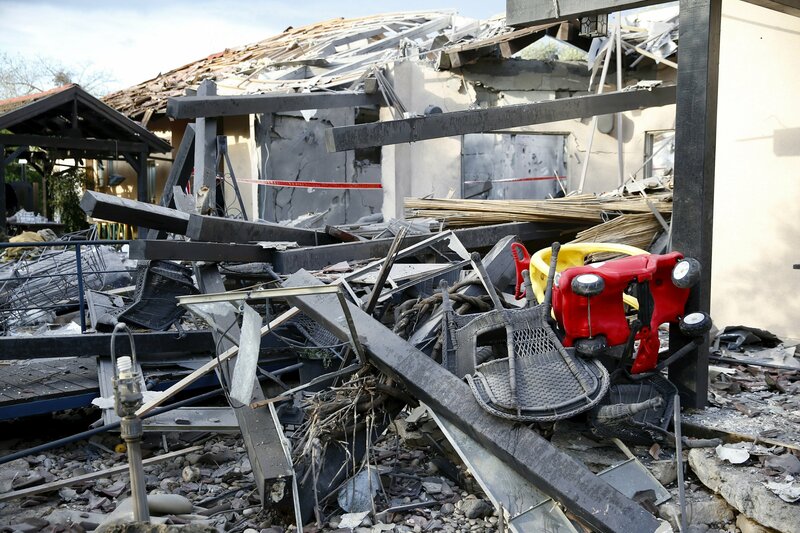 A shattered baby’s crib lay among the rubble and two family dogs died in the explosion. “It’s a miracle that nobody got killed,” said Assi Dvilanski, a Magen David Adom paramedic who was one of the first responders at the scene. Anticipating a strong Israeli response, Gaza’s Hamas leaders have apparently gone underground. Witnesses reported seeing Hamas evacuating its personnel from government premises. Hamas also announced that its Gaza chief, Yehiya Sinwar, had cancelled a scheduled public speech. Israel also shut down its main crossings into Gaza and imposed restrictions on fishing off the Gazan coast. Monday’s attack came 10 days after rockets were fired from Gaza toward Israel’s densely populated commercial capital of Tel Aviv. The Israeli military at the time struck back and the sides appeared to be hurtling toward another confrontation. But Gaza’s Hamas leaders said the rocket was fired accidentally and calm was quickly restored. There was no immediate claim of responsibility for Monday’s attack, but it would seem to be much harder to dismiss the latest incident as another misfire. The IDF said Hamas was responsible for the attack. Gaza is controlled by Hamas, an Palestinian terror group that seeks Israel’s destruction and possesses a large arsenal of rockets and missiles capable of striking deep inside Israel. The territory is home to other Palestinian terror groups, including Islamic Jihad, an Iranian-backed armed organization that also has a formidable rocket arsenal. Israel says it holds Hamas responsible for all fire coming out of the coastal territory. The outburst comes at a sensitive time for both sides. Israel is holding national elections in 15 days. Netanyahu, who also served as defense minister, is locked in a tight fight for re-election and has faced heavy criticism from his opponents for what they say has been an ineffective response to Gaza terror. Instead of a full-fledged conflict, Hamas has tried to end the blockade through a violent weekly protest movement along the Israel-Gaza border fence that it launched a year ago. It too has largely failed and about 190 Palestinians have been killed during the weekly rallies. 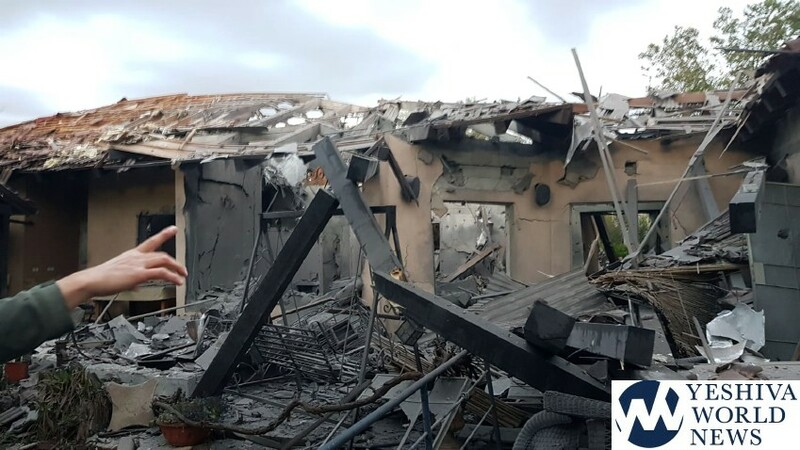 This morning, a rocket fired from #Gaza directly hit a residential house in central Israel's Sharon region, injuring seven Israelis, including two toddlers. Dr. Eliezer Miller, Deputy Director of Meir Hospital in Kfar Sava reports that a total of seven people arrived in the emergency room. The hospital is treating a 60-year-old woman who was injured running to the safe room. Her injuries include shrapnel injuries to her body and extremities. She is listed in moderate condition. The remainder, three adults and three children are listed in light condition including 12, 3, and 6-month-old girls. Sharon District Police Spokesman Commander Ami Ben-David calls on residents to continue with their daily routines, stressing schools and businesses will be operating on regular scheduled and “There was an incident at 5:20 AM and it is over and it is back to the routine” he told News13. Some are asking why the Iron Dome did not fire to intercept the rocket. It is explained that the units are mobile, and deployed according to situation assessment and it appears in this case, there was no warning or intelligence community information prompting the positioning of an Iron Dome to protect this area. Mishmeret is a Moshav in central Israel. Located in the Sharon plain near Netanya and the HaSharon Junction and covering 3,800 dunams, it falls under the jurisdiction of Lev HaSharon Regional Council. This better get the full fury of the IAF in retaliation once and for all. Bomb those vermin to oblivion NOW fast and fierce! it must have been a mistake. Hamas would never do such things. yawn, so the IDF will bomb more empty warehouses…. Time to really do the job properly. Time to kill the Hamas leaders and supporters, which is 90% of Gaza….